Wide receiver Malcolm Mitchell isn't letting legal matters get in the way of the love he has for his former team. 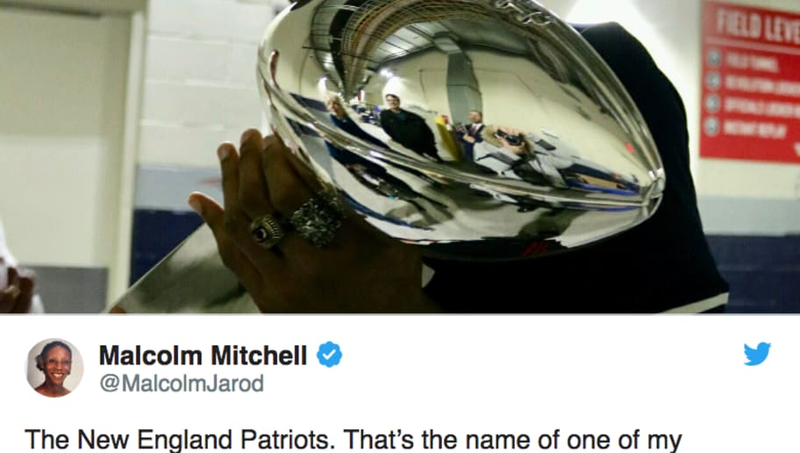 The former Pats receiver took to his Twitter Tuesday to share a photo of himself holding a Super Bowl trophy, saying he'll love ​New England forever. Mitchell's tweet comes in the midst of an injury grievance he filed against the team back in September. The 25-year-old wideout was cut by the team back in August without an injury designation, so he didn't receive any of his $630,000 2018 salary, for which he's seeking full recoupment. The ​Patriots seemingly got tired of waiting for Mitchell to recover from a knee injury that forced him to miss all of the 2017 season. Mitchell was still feeling discomfort with the knee and was extremely limited throughout camp. This was the third knee injury Mitchell had sustained, dating back to his days as a Georgia Bulldog. The receiver tore his ACL in 2013 and suffered another knee injury that required surgery the following year. Mitchell is on the record telling ESPN's Mike Reiss that he has had 10 football-related surgeries! Mitchell was instrumental in the Pats historic Super Bowl LI win over the Atlanta Falcons, catching five balls for 63 yards. It's nice to see that Mitchell has no bad blood for the franchise that gave him a Super Bowl ring and the opportunity achieve a life-long dream. Hopefully, Mitchell can find a roster spot with another team for the 2019 season.